There are few things that actually make us look forward to a drop in temperatures. A long, luxuriously soft cashmere cardigan is one of them. Not only are they undeniably versatile, but they also add a touch of elegance to any outfit they’re paired with. 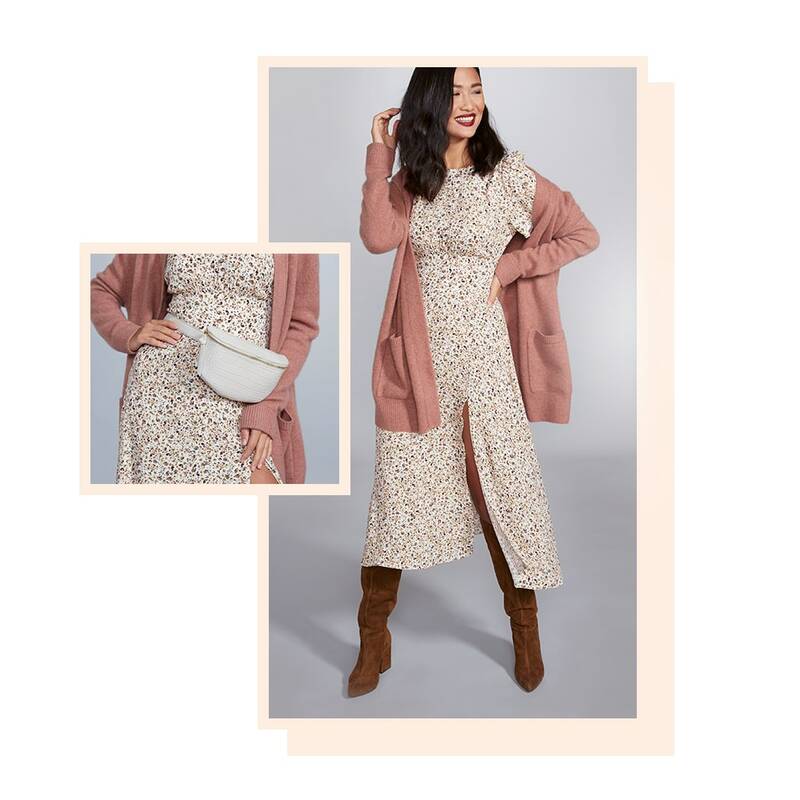 Cropped wide-leg pants, delightful dresses, and your favorite pair of denim are just a few examples. 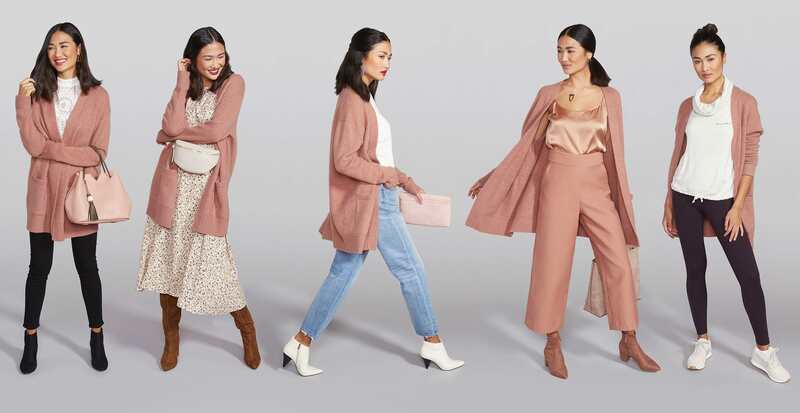 Keep reading to see our complete guide on how to style fall’s most coveted staple: the long cardigan. Earthy tones are perfect for fall. Pick your favorite color, then wear varying shades from head-to-toe to create a simple, yet striking outfit. The trick to mastering this look is to play with textures so that everything doesn’t read one note. For a modern approach, start with a silk cami and loosely tuck it into a pair of cropped seersucker pants. 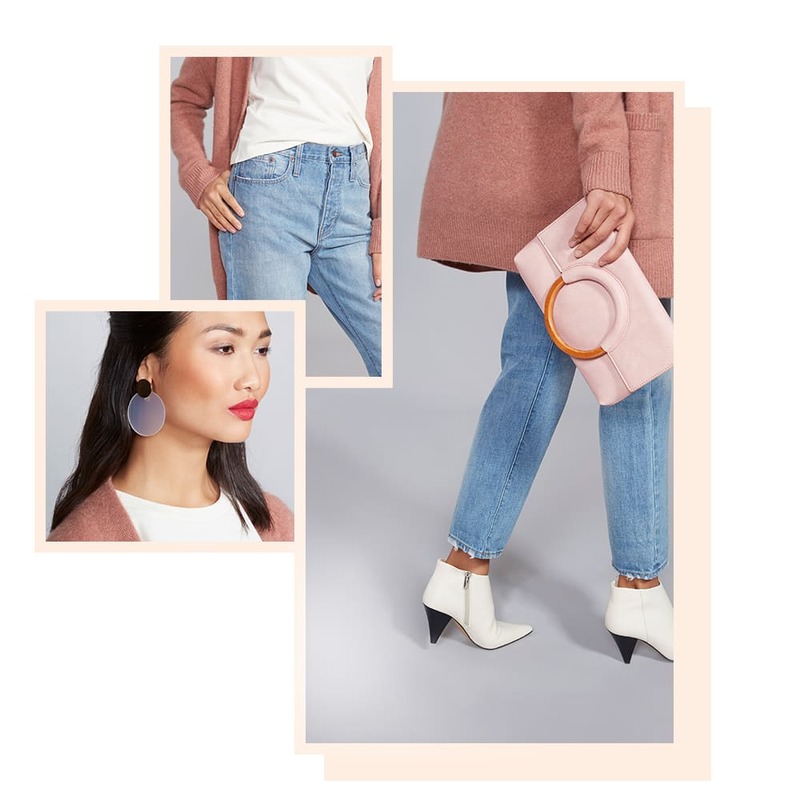 The smooth cardigan completes the look, and matching ankle booties are the perfect touch for a streamlined finish. No matter how many trends come and go, one thing is for sure: nothing beats the jeans-and-tee combo. It’s a timeless pairing that can be dressed up or down to fit almost any occasion. For a chic take on the classic, we paired our relaxed-fit T-shirt and boyfriend jeans with white ankle booties. Minimal accessories assist in giving the final look a modern statement in its simplicity. We love being able to wear our favorite summer dresses into seasons beyond. Give your side-slit maxi a fall spin by pairing it with a sleek pair of suede over-the-knee boots. You only see a touch of skin, plus it feels seasonally appropriate when worn with a long cardigan overtop. The shades of the sweater and shoes complement the print of the dress, so everything feels cohesive and well-balanced. True or false: There’s never a wrong time to wear lace. The answer to that one is obviously true, especially if it comes in the form of a scalloped peplum top with darling floral lace detailing. Contrast the intricticacy of the blouse with simple skinny jeans in a dark wash, and a sleek pair of black booties. Topped with your long cardi, you have a look that is the perfect balance of comfortable and chic. Who knew that you could also dress down your cashmere cardigan by pairing it with sportier pieces, too? We love mixing styles for a fresh take. This outfit is the perfect example of how you can get more wear out of pieces when you simply experiment with different ways to style them. Indulge in comfort when you slip your layering piece over a cowl-neck pullover, stretchy leggings, and tonal sneakers.